True to its advocate of recycling items, OLX Philippines released a new study that shows approximately P21-billion worth of previously used but still in good condition items are just left to gather dust in Filipino households. The study is part of OLX’s campaign to educate Filipinos on the untapped wealth sitting in their homes and the value of online selling of secondhand items through its “Yesss, Yaman!” Movement. The survey, which was conducted by TNS on behalf of OLX, asked people to list their unused items and share their experience in buying and selling second hand items over the Internet. Results revealed that all households surveyed have unused items that are still functional, including electronics, clothes and fashion accessories, vehicles and automotive merchandise, home appliances, and collectibles. The total value of these unused items in working condition is also significantly high. Kitchen appliances are at P1.08 billion. The survey also showed that many Filipinos are interested in selling their unused stuff over the web. About 41% of respondents said that they are comfortable selling their pre-loved items while 56% of those who have plans of selling unused items said they are open to selling these online. As a result of the Yesss, Yaman! Study, OLX is also introducing the Yaman Checklist. This helps Pinoys easily identify which of their pre-loved items are in good condition, to list it down, and see the total possible earnings they can get from it. 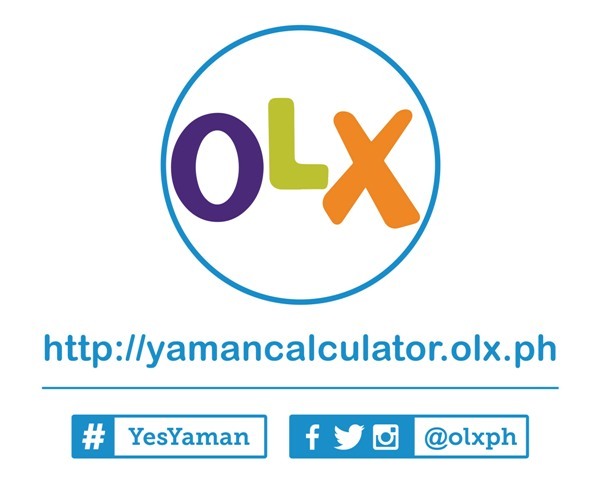 Compute it at at http://yamancalculator.olx.ph. “Selling secondhand items is a smart way for Filipinos to upgrade their lives. Sellers can earn extra cash from stuff they don’t need while buyers get a fair deal,” says Arianne David, Head of Operations of OLX. Its a give and take deal to both buyer and seller. Hoepfully, more than 600,000 Filipinos have already listed their pre-loved items for sale on OLX.ph. Projections are that 1 million Filipinos will be selling on the site before the year ends.